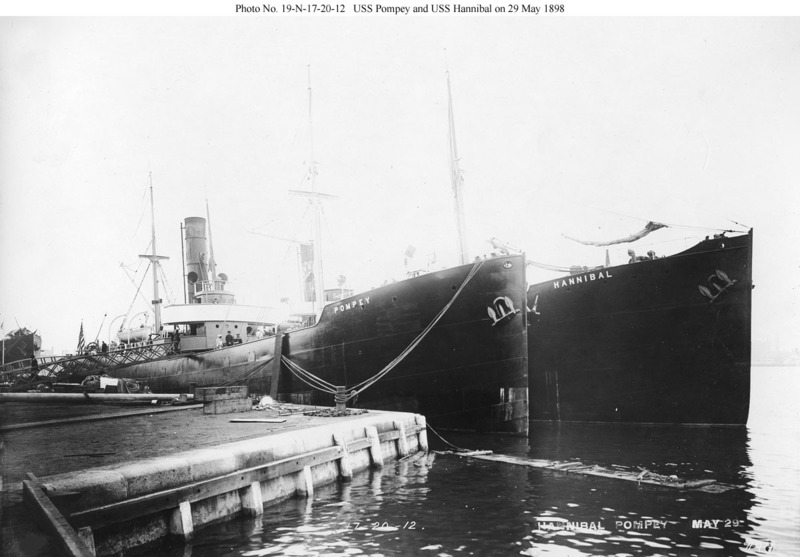 At the New York Navy Yard on 29 May 1898 with USS Hannibal (see AG-1) outboard. 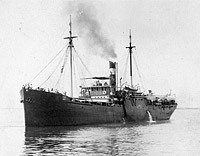 Pompey was the smallest of the colliers acquired in 1898, and Hannibal, although 30 feet longer, was still one of the four smallest. Approaching Olongapo Naval Station in the Philippines circa 1914. 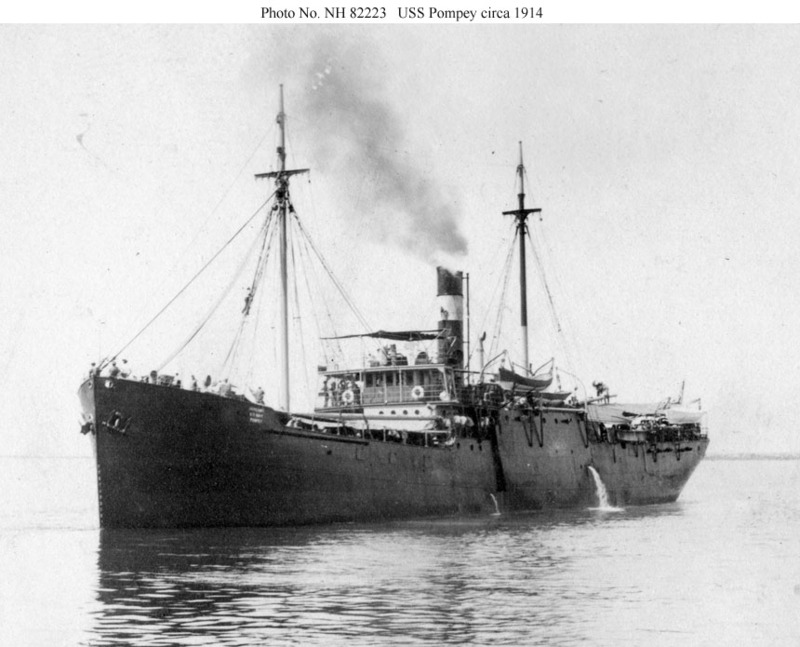 Pompey was then being used as a tender and storeship. She is wearing standard Naval Auxiliary markings including the inscription "Auxiliary, U.S. Navy, Pompey" on her bow. 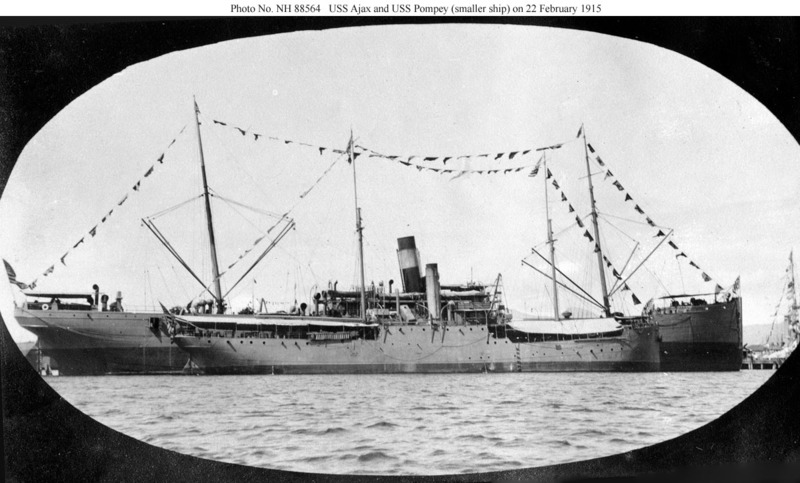 Outboard of (and dwarfed by) USS Ajax (see AC-14) at Olongapo Naval Station on 22 February 1915. The ships are dressed with flags for Washington's birthday. Pompey no longer has Naval Auxiliary markings although Ajax retains them.